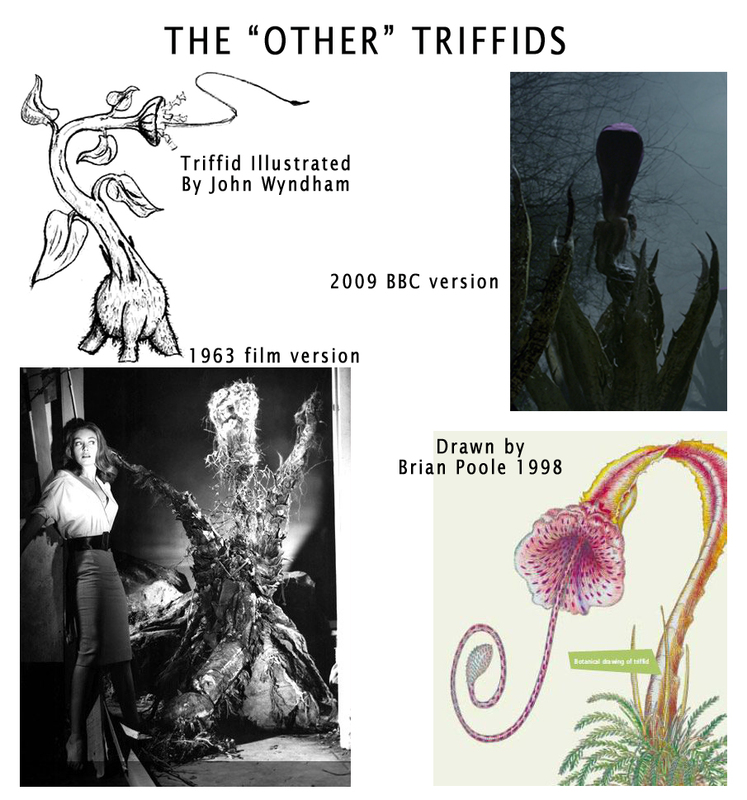 Not to sound like I don’t have an open-mind but I don’t plan on ever watching the 2009 version of The Day of the Triffids. Actually upon closer examination, I really do not have an open-mind. Let’s see, have I watched the 2005 version of The Quatermass Experiment? No, I have the DVD of it but something stops me from watching it. How about the 2006 A For Andromeda? Nope! Not interested in seeing it at all. I prefer the originals. I know I sound like a fogey. There were probably casual viewers in 1981 who weren’t interested in watching the BBC adaptation of The Day of the Triffids. They probably thought it was boring compared to the 1963 film starring Howard Keel. For me, after watching Parts 3 & 4, I am just enjoying the series very much and it is now moving at a quicker pace. It is very good but does have a couple of small cracks in its story telling. 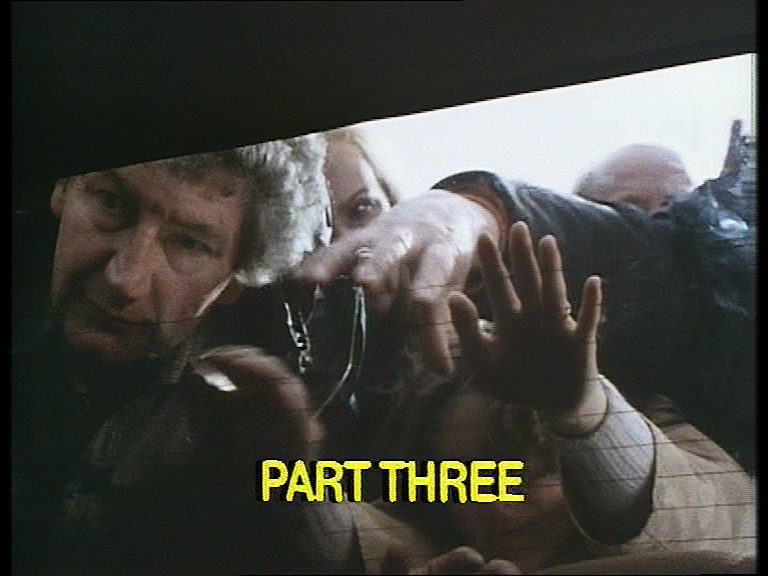 Last week, as we were coming to the end of Part Two, a group of blind people had basically stopped Bill and Jo from going any further on the road. Remember, the blind group was led by Morris Barry….well maybe not led. Anyway, Bill and Jo have to sneak their way out of the car. The blind people are scared and angry. It is easy to see them as a threat but they don’t know where their next meal is coming from or who will protect them from the people who can see and that are cruel? Bill & Jo do get some Triffid fighting gear and they end up commandeering an apartment in a high rise. Over dinner, they discuss what they are going to do with themselves. Throughout the conversation we hear people screaming and gun shots from the streets below them. It’s eerie. It’s clearly a horrible situation and it really has an effect on Jo. Not all is lost. They see a light emanating from the University of London. Not so much a light but more of a beacon and they decide when it is daylight, they will go over there. That night when they go to bed, the screams and crying still continue. Jo and Bill hold each other tight through the night. The next day at the University of London, Bill and Jo arrive but find a group of blind people outside the gates lead by a man named Coker. Inside the gates are military soldiers and other official looking people. Coker is not blind and he is trying to convince the guards that the blind people need to be looked after. They need to be allowed to join the group. The commanding officer on the scene does tell Coker that he would be allowed in as he can see but not the blind people. After Coker tries to break his way in past the gates, the soldiers begin to fire in the air to scare off the blind people. Soon after that, Bill and Jo are allowed into the University. Inside they meet the man who is in charge. His name is Beadley. The first thing Bill and Jo do is go out with a truck and get a ton of supplies. The idea would be that they would go with whatever group Beadley was leading. When Bill and Jo return from getting supplies, Beadley comments about the anti-Triffid weapons he sees Bill went out of his way to get. He doesn’t think the Triffids are a threat. In fact, he may have a valid point. 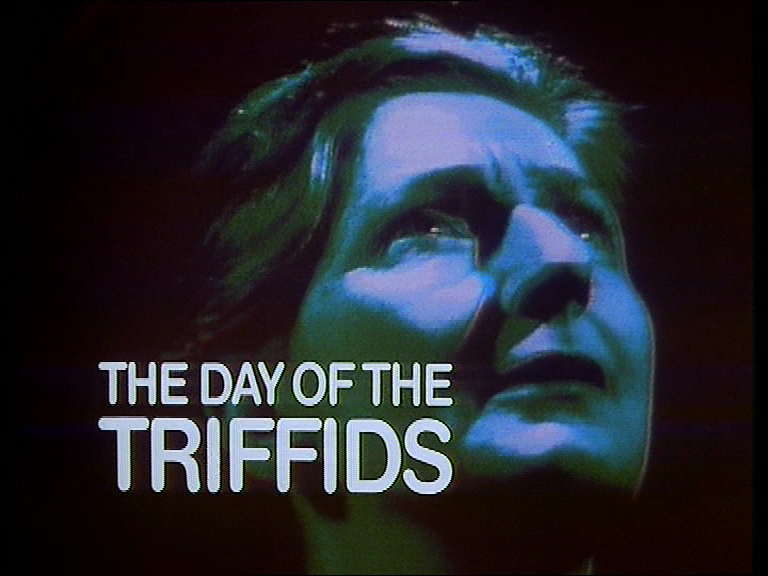 There had been no sightings of Triffids in this episode apart from one scene where an older blind man named Tom is roped to his wife as he tries to make his way out to his garden to get some food during the night. A Triffid attacks and kills him. Another victim of the Triffid but the scene is a little out of place as these characters have nothing to do with the action with the main characters. That night, Beadley lays out the plan for those who want to go with his community. Basically, they need to leave London. As Bill said earlier in the episode, all sorts of disease will circulate through London due to the sewers and corpses all over the place. London will very soon be uninhabitable. Beadley had formed a group with Major Anderson and Dr. Vorless. They have it all figured out up to the point of how to repopulate the Earth. This includes men taking on many wives. They seem to have it all figured out considering it is really only day two of the disaster. I have not read the book but it seems to me that Beadley was probably friends to Major Anderson in the military and they were able to get something set up pretty quick. The idea of a group of civilians deciding on what is good for every one by forming their own government fascinates me. 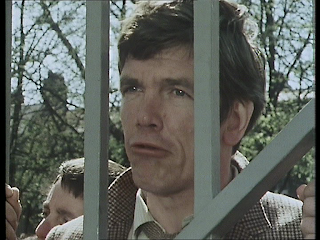 It is a concept that is seen in a lot of places not to mention Doomwatch and Survivors. As society breaks down, there are always people who pop up out of nowhere who always wanted to be a “leader” and take their chance while everyone else is recovering from the shock. Whether what they do is right is hard to know for sure. In Survivors, the militia that was set up was a crooked group of bullies. They didn’t want a government that would help people, they wanted to rule. They wanted the power. At least the leadership of Beadley/Anderson/Vorless was upfront with the rules. If people didn’t like it, they didn’t need to join. Basically, Jo and Bill were OK with the rules as long as Jo got to pick Bill’s other wives. There was love forming between the two of them. During that night, a fire broke out in the University of London and Bill runs down the stairs to help but trips on the stairs. Next thing he knows when he wakes up is that he is bound and gagged. 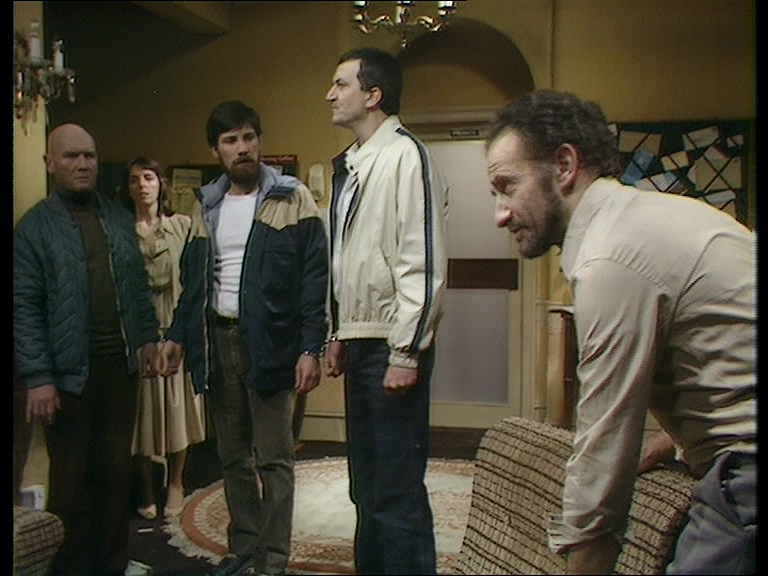 Part Four is perhaps one of the harshest and most chilling episodes of the series. It left me angry at and sad for the people who were blinded. It showed me a character that I would dislike for what he was doing yet what he was trying to do was helping the blind people. Remember back in Part Two, the man named John was angling that Bill should stay with him, his wife and daughter. They needed someone to help and protect them. This is exactly what was going to happen but on a grander and more horrific scale. There was no fire at the University of London. The fire was basically just smoke that filtered through the halls and when people went down the stairs, such as Bill, they would fall over a tripwire. This was all Coker’s idea. Bill’s new life is basically being handcuffed either to a bar or two blind people (one on each arm) all the time. Bill is responsible for the well-being of 10 to 15 blind people to find food and supplies. Their job is to go out daily and find what they need. They end up taking over a hotel where all of them stay. Bill is given an area to work in. Just about at all times he is handcuffed on one side by a nicer guy named Alf but on the other side a bully named Ted. The major downside to this is Bill is now separated from Jo. The life Bill has seems horrible. He has very little freedom. He tries to protect the blind people that have been thrusted into his care. He can’t really do any of the work himself but spends a great deal of time giving detailed orders to the blind people doing the work. This includes directions on how they should walk and carry supplies at the same time to just put a box into a van. One day as he is leading a group on the streets, a man who can see watches them walk by. He grabs his pistol and starts firing at them. A couple of them die instantly including Alf. Bill tries to get the key from Ted to release them both from Alf’s body. As he does so, Bill wants to be released from Ted too which Ted refuses. This gunman is on the lose shooting blind people point blank so Bill attacks Ted, knocks him out and releases himself. It is a very tense moment of the series as it seems unfair to attack a blind man like that yet Ted was a cruel bully and was horrible to Bill most of the time. Bill had enough and for him to survive, he had to be released from Ted. With Bill escaping and being free, it shows what kind of man he is as he still stays with the blind group. He is now free to help them get their supplies although they are almost killed by Triffids once. Triffids aren’t the small community’s biggest worry. The worry is that many of the people of the group is getting sick and dying. One night Bill is packing his stuff and a young teenage blind girl who is part of the group comes to his room. She tells him that the rest of the group is sensing that he is going to leave them. He admits he was thinking about it mainly since everyone is dying. She begs Bill not to leave and she even offers herself to him sexually if he would stay. It was not her idea but the group forced her to do this. Bill is repulsed by this but tells her that he is going nowhere and he will stay. He promises her that. The next morning all the people are gone except the girl. The girl was horribly, horribly beaten by the blind group because they did not believe her when she said Bill was going to stay. She is dying and Bill gives her sleeping pills to basically euthanize her. This episode is excellent but this is where I saw a big problem. Why would the blind people leave in the middle of the night if Bill was going to stay or leave? How could Bill sleep through a group of blind people leaving the house with all of their stuff in the middle of the night, let alone beat this teenage girl mercilessly to near death. He must have been a sound sleeper! Why would blind people leave the comfort of the house; how could they find another one? Although these scenes are dramatically excellent, it’s puzzling to me. Bill is out trying to find Jo. He is looking at the area he was told she was controlling. She is not there. Bill goes back to the University of London where someone is waiting for him…. I mentioned that in Part Four, the blind girl who was sent to seduce Bill into staying was horribly beaten by the rest of the blind people who didn’t believe he was going to stay upon her return. I got that one wrong. The blind people left because they were frightened that more people were getting the disease in their community including the girl. She had the disease and was not beaten. I don’t know why I thought she was. She mentions she is not brave and wants Bill to give her something to hurry up the process of her dying; to finish her off. Thank you Paul for pointing this out! "In the books there is quite a lot of loose speculation on the sudden occurrence of the triffids. Most of it is nonsense. Certainly they were not spontaneously generated, as many simple souls believed. Nor did most people endorse the theory that they were a kind of sample visitation-harbingers of worse to come if the world did not mend its ways and behave its troublesome self. Nor did their seeds float to us through space as specimens of the horrid forms life might assume upon other, less favoured worlds-at least I am satisfied that they did not." The film version physically differs from the book description. In the film, they had tentacles that would draw their victims closer to them. They would sting victims from a projectile vs. a coiled tendril. The Triffids also dissolve in sea water. This was only in the film version. I have not seen the film version but at least in the more true sense of the story, it would have been interesting if the Triffids were from space because it might have been a reason why the comet showed up blinding most of the civilization giving the Triffids free-range. Perhaps the Triffids made it happen. 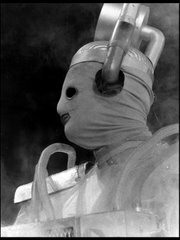 The problem with that theory is that although the Triffid has some intelligence, it isn’t great intelligence. 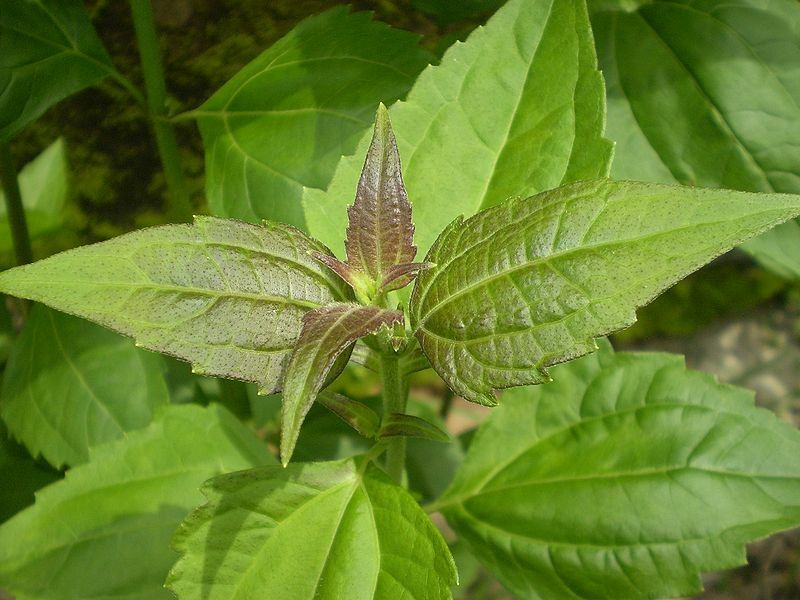 The Triffid, like any other weed, wants to survive. Its instinct is to survive. It doesn’t kill because it is homicidal, it wants to live and feed. 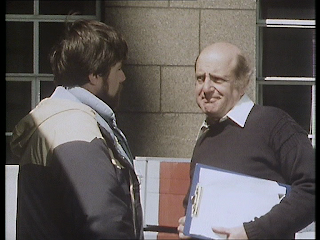 The 1981 BBC version (from the story we are currently watching) is much closer to the original idea Wyndham had for his story. It looks almost like a flower. It is my favourite version of the Triffid. They were designed by Steve Drewett. From the Wikipedia entry for Triffids: “The Triffids were operated by a man crouched inside, cooled by a fan installed in its neck; the 'clackers' were radio controlled. The gnarled bole, based on the ginseng root, was made of latex with a covering of sawdust and string while the neck was fibreglass and continued down to the floor, where it joined with the operator's seat. The plants were surmounted by a flexible rubber head, coated with clear gunge.” It is also intimated that Director Ken Hannam may not have been a big fan of the design because he did a lot of close up shots of the various parts of the Triffids more often than full on shots. Often the shots were close ups of the “head” of the plant or the bottom rattling stumps. Also, so far I can think of very few shots where the Triffid appears in studio. Most of the time we see them on the exteriors shot on film. I think the fact that they are scenes few and far between makes them creepier. There is real plant-life that is called Triffids. In the Durban area of South Africa, the Chromolaena odorata is also known as the Triffid. This Triffid does not move nor does it kill, it is actually used for medicine. Would the real Triffid please stand up? I wouldn’t have anyone come to this site at all if it wasn’t for people like the ones above who take the time to let people know I even exist! Thank you, Thank you, Thank you! Next week: The final two parts of The Day of the Triffids. Is there a happy ending? I also look at the DVD presentation itself. Is this a good release? Thanks for continuing to write about your viewing experiences, I look forward to every new entry. Even when it is something about which I am not interested I still enjoy reading your commentary, and you have managed to point me towards some things I might not have been inclined to view. Thanks for the kind words and support as always Dave! It's a two way streak, remember who introduced me to Mulberry?